This is my continuation of my entry – Honda Civic EK9 Type-R B16B – The Art of Automotive Engineering – This is about how an artist refine they tools, to make another masterpiece! If want to talk about Civic Type-R, Why not including the EP3 and FN2 chassis? Not racist or something like that, but I only consider JDM-Spec version is the real Civic Type-R, available in Japan and Malaysia only! (It was the first time that any Type R JDM model was launched outside of Japan). 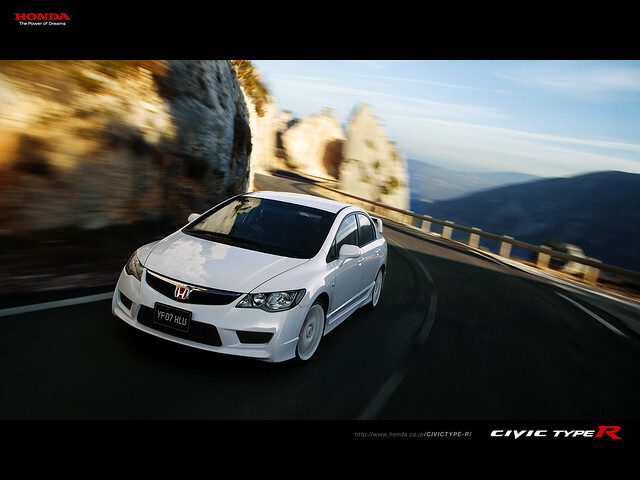 The Honda Civic Type R is the highest performance version of the Honda Civic made by Honda Motor Company of Japan. It features a lightened and stiffened body, specially tuned engine and upgraded brakes and chassis. Red is also used in the interior to give it a special sporting distinction and to separate it from other Honda models. In Japan, a one-make series of Honda Type R cars where privateers can purchase an off-road Type R and compete in a series championship is a stepping stone for many aspiring racing drivers. The Japanese market Civic Type R (FD2) went on sale on March 30, 2007. For the first time, the JDM Civic was sold as a four-door sports sedan rather than a three-door hot hatch. Using the Japanese market four-door sedan as a base model meaning the new Type R is now bigger, wider and heavier. More importantly, the wheelbase has grown from 2,570 mm (101.2 in) to 2,700 mm (106.3 in), giving the FD2R a more stable stance in high speed cornering. The new Japanese model’s engine output is higher than the European version’s, with 225 PS (165 kW; 222 hp) being developed at 8,400 rpm and 215 N·m (159 lb·ft) of torque peaking at 6,100 rpm (versus 201 PS (148 kW; 198 hp) at 7,800 rpm and 193 N·m (142 lb·ft) at 5,600 rpm for the European model). The base engine itself is borrowed from the Accord Euro R CL7 with its longer intake manifold. Changes have been made to the block in terms of mounting points for ancillary parts making it different from previous K20A. New technology such as drive-by-wire throttle and porting of the intake valve ports using techniques from the NSX are implemented. Honda says mid-range is increased by 10 PS (7 kW; 10 hp). Drive is fed through a close-ratio six-speed gearbox, and a helical limited slip differential is fitted as standard. The front brake discs increased from the DC5R’s 300 mm (11.8 in) to 320 mm (12.6 in) are fitted with four pot Brembo calipers. Tire size are now 225/40 R18 Bridgestone Potenza RE070. Exterior wise, the front bumper is different from the standard Civic designed aerodynamically. The rear bumper features a diffuser built into the bumper and completing the aero package with a huge rear wing. Inside, the trademark black and red bucket seats are no longer made by Recaro as with previous versions, but designed in house by Honda. Also gone is the Momo made steering wheel, instead replaced by a Honda made version. The familiar red-on-black colour scheme or black-on-black scheme is offered on the Championship White version and Super Platinum Metallic Silver versions while a black-on-black scheme with red stitching is for the Vivid Blue Pearl only. In October 2008, the Civic received a minor face lift. The standard and hybrid versions now had the same front bumper as the Type R while a redesigned tail lamps changes the round insets into octagons. The Type R also received new available colours, with Premium White Pearl, Premium Deep Violet Pearl and Crystal Black Pearl being added and Vivid Blue Pearl being dropped. In back to back tests the FD2 Type-R was on average 1 second quicker than the (DC5) Integra Type-R at the Tsukuba Circuit and four seconds faster at the longer Suzuka Circuit. To decreased drag force, special surface coating as used in the Honda NSX is applied to the cylinder head ports (intake / exhaust). For racing engine, technician will mirror polish the cylinder head ports like Honda done for the previous Civic type R B16B engine to increase intake efficiency using traditional method. However, this new Civic type R engine uses a special resin coating on the mold of the ports when casting the cylinder head to make the surface smooth, this reduces roughness by 40%, increasing an approximate output of 2PS. 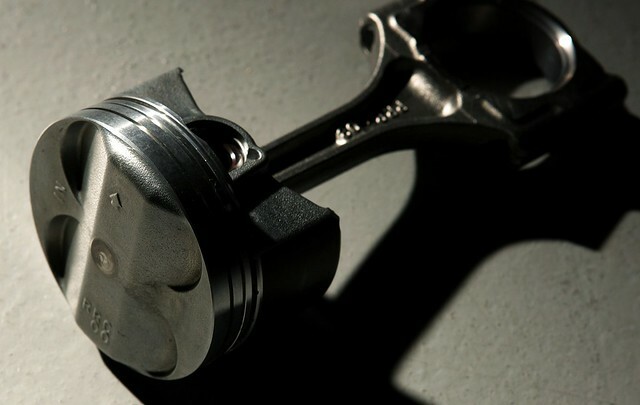 One of the keys to tuning a NA engine is the piston. 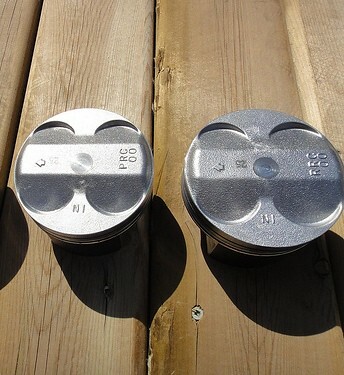 In order to increase the compression ratio, aluminum, pent-roof-type pistons were used. The piston skirt was made lighter in order to lessen the inertial mass. Since lightening the piston causes the piston “neck” to rock back and forth, a molybdenum coating (also used in the NSX) was applied to lessen friction. 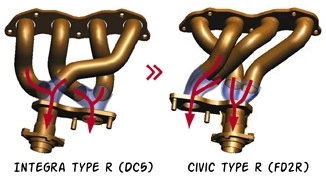 In order to increase compression ratio, the head of the pistons were increased, about 2mm, from 11.5:1 (PRC) to 11.7:1 (RRC), The picture above shows you the piston differences between JDM Intergra DC5 Type R K20A (PRC) – left and JDM Civic FD2 Type R (RRC) – right. Compressing the fuel and air will make them burn faster, more cleanly and much more efficiently than lower-compression engines, since power is a torque × rotational speed, power is increased as a result. 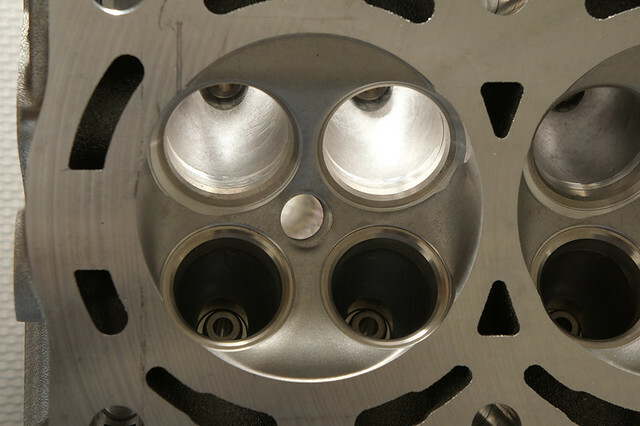 Considering all the advantages of high compression, one might wonder why anyone would not use a high compression ratio. The answer is simple: The increased heat density of the compressed gas will cause the fuel to begin combustion without ignition by the spark plug, resulting in an undesirable burn pattern. This detonation, or “knock”, is often heard as a pinging noise and can cause severe damage to your engine. In other words, the high compression ratio = fight against knocking. How Honda handle this issue? The answer is, the Civic TYPE R, as well as takes advantage of the superior cooling performance of K20A engine and the special Honda combustion chamber shape and flow of the air-fuel mixture design. Honda used lightweight, high-strength connecting rod. Just like the GSR/ITR rod bearing, the K-series rod bearings also feature the friction reducing coating that consists of molybdenum adopt by Honda racing engines technology to reduce friction loss at the high speed. 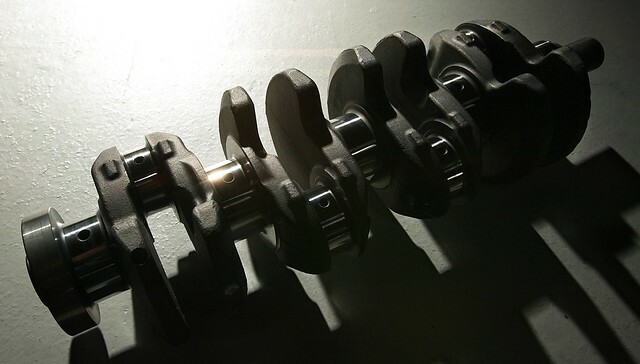 The crank is Honda’s typical overbuilt forged unit, to ensure the high rigidity, even at high rotation, Honda used high strength material to maintain excellent accuracy rotational, vibration is reduced suppress power loss, durability is improved. Additional balancing weights were added on number 1 and 4, and allows for smooth, high-rpm revving — making it a 8-weight, fully-balanced crankshaft. 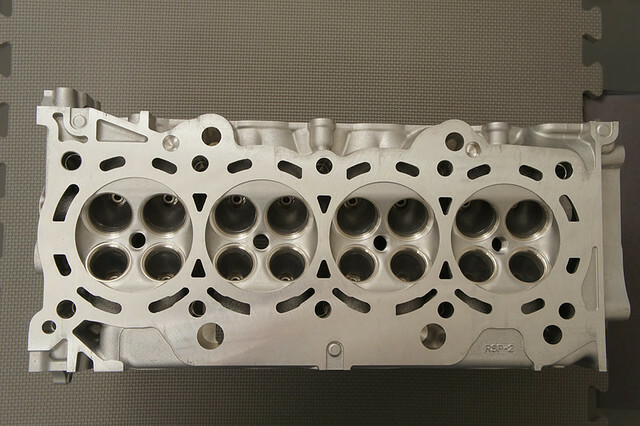 K20 block height : 212 mm, made of aluminum alloy, it’s a beefy unit, heavily ribbed and gusseted for extra strength. 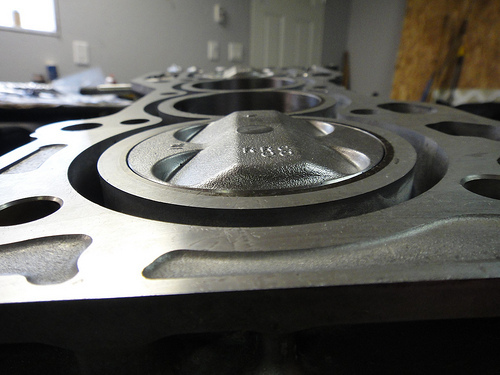 Good feature of high-performance engine also depends on the quality of the cylinder block. Many things that need to be consider, such as the shape of the crank case, suitable for high output, lightweight, rigidity, operate smoothly when high load, etc. The Honda Civic TYPE R has been developed over many years poured thoroughly high rotation and high-output technology, the four-cylinder engine of Honda have been equipped with an engine block which can be called the ultimate. The center of the crank shaft axis is divided into upper and lower engine block. Instead of opening the entire wall surface of the block, the crankshaft hole with a considerable thickness, gave the best reinforcement by dividing the vertical half and it’s to enhance the rigidity of the engine block. The lower block was molded as a unit an outer wall of the block and the bearing portion of the crankshaft, especially a ladder frame structure, to have high rigidity. With these, as well as improve the rigidity of the engine block itself, it’s also enhanced coupling rigidity of the transmission, and improves the rigidity in the entire powertrain. This design also to reduce the loss of power, and has secured excellent durability. JDM DC5 and FD2R share the same valves and the valve springs, that precisely and strong enough to withstand with 9000rpm! Type R intake dual valve springs (both intake and exhaust side) are specially made to work with Type R lightened intake valves for higher lift and rpm specifications and to prevent valve float and maintain valvetrain stability at high RPM. 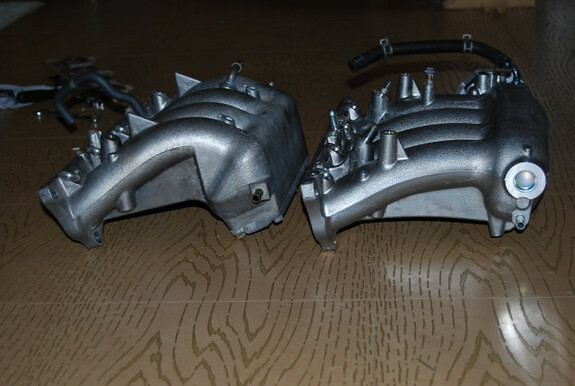 Air sucked from the throttle, then intake manifold will distribute air to each plenums. It is an important part that influences the intake efficiency of the engine, it is no exaggeration to say how the design of this part is telling the characteristics of the engine. 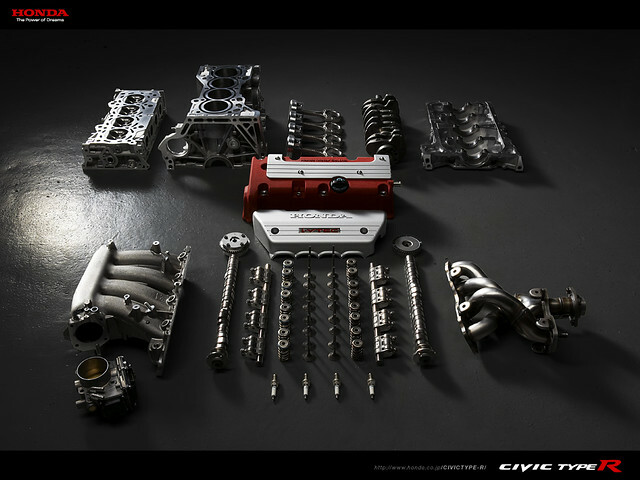 That of the Civic TYPE R, the short type of single pipe equal length and straight up the shape. This is demonstrated intake efficiency with excellent high rpm clearly, the thing that has been designed to “go around” well to the engine. To give better breathing when needed at the high rotation, at the moment when the intake valve is opened, the maximum use of the air speed increased by inertial force could be achieve, it’s pushing into the air cylinder vigorously. 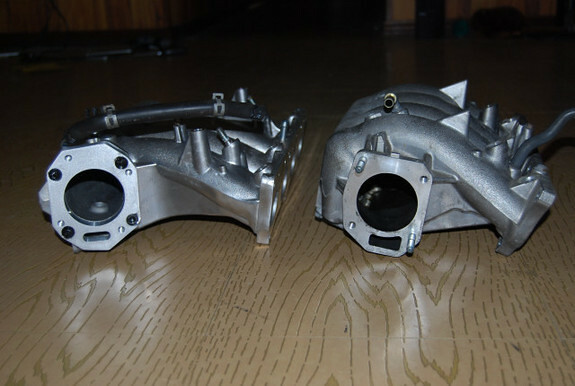 The ideas of flow capacity, flow velocity and flow quality was developed in experience and continued challenge to race for many years, turn on the know-how of high speed engine development, increasing the intake efficiency. 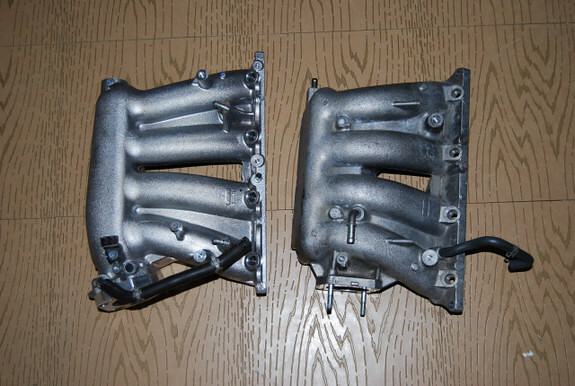 It can be the intake manifold far focused on high rotation by VTEC, because is switched at 5,800 rpm. 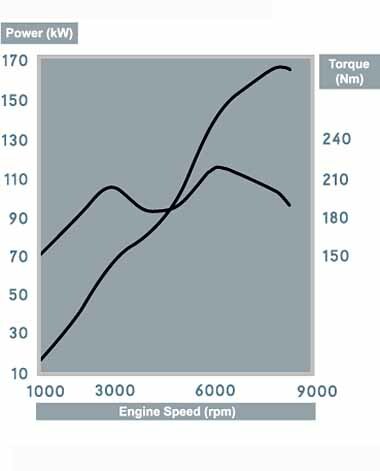 While generated by the high speed of 8,000 rpm the same as the Integra DC5 TYPE R, the highest output of Integra DC5 TYPE R maximum torque is 206N · m [21.0kgf · m] / 7,000 rpm, when Civic FD2R is 215N · m [21.9kgf · m] / 6,100 rpm, that mean, the intake manifold generate high torque at the low rpm, by improving quality control. The comparison with aftermarket intake manifold, using dyno test, K-Series Intake Manifold Shootout – Kapow! . 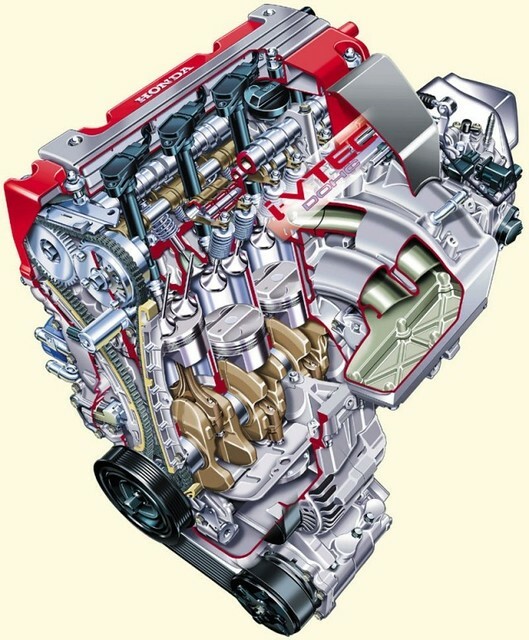 Back pressure caused by the exhaust system (consisting of the exhaust manifold, catalytic converter, muffler and connecting pipes) of an automotive four-stroke engine has a negative effect on engine efficiency resulting in a decrease of power output that must be compensated by increasing fuel consumption. And using valve-operated variable length silencer (compare with DC5), to control back pressure and sound from the low to high RPM. The transmission gearbox takes the output from the engine flywheel, multiplying it with the selected gear ration before delivering to the front driving wheels for maximum lap times on the circuit. 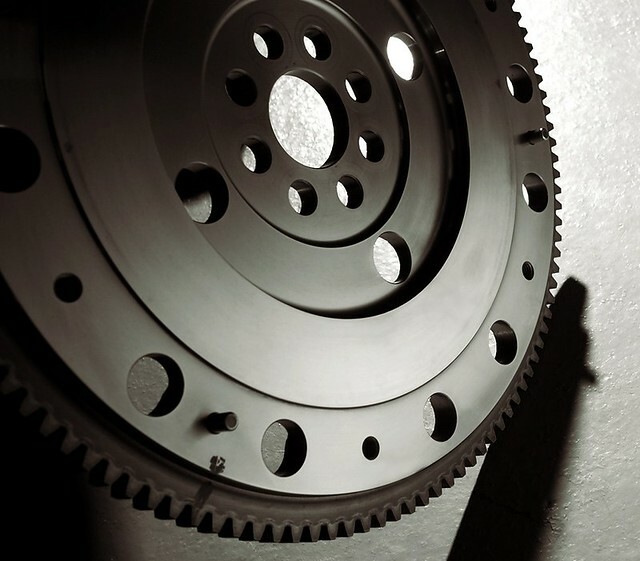 For sharper acceleration, gears 1 to 3 are revised with the approximately 3% overall shorter (higher) ratio. To exploit the higher power and torque of the new K20A engine, gears 4,5, and 6 are revised for an approximately 1% taller (smaller) ratio. Due to the aggressive cam profiles, the power delivery of the new Civic TYPE-R’s K20A spec R engine has a dip, a ‘hole’, in the middle of its power chart around the 3000 to 4000RPM range. 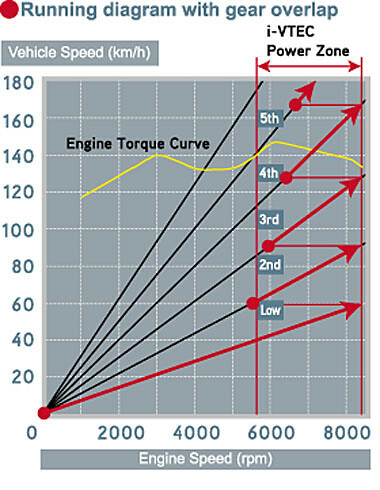 The individual gear ratios for gears 1 to 5 are chosen so that shift-ups from red-lines to the next higher gear will drop the engine RPM right into the power band – after the ‘hole’ and where power and torque are increasing. To greatly reduce the mass inertia of the crank system, Civic TYPE R adopt ultra-light as used in the racing engine “forging Flywheel”. 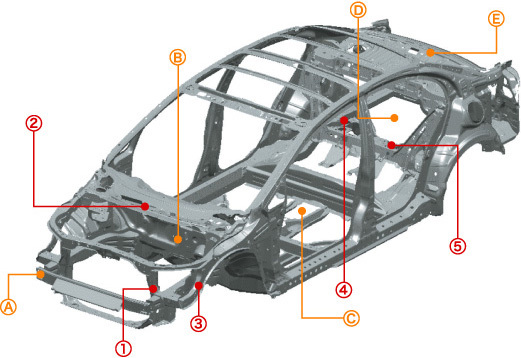 A stiffer and lightweight body compliments the powerful engine of the Civic Type R. Better stability is achieved with an extensive use of high tensile steel sheets that create a stronger structure. This makes it 50% more rigid and 11.6kg lighter than the Integra Type R.